Not in the Idaho Falls & Boise area? 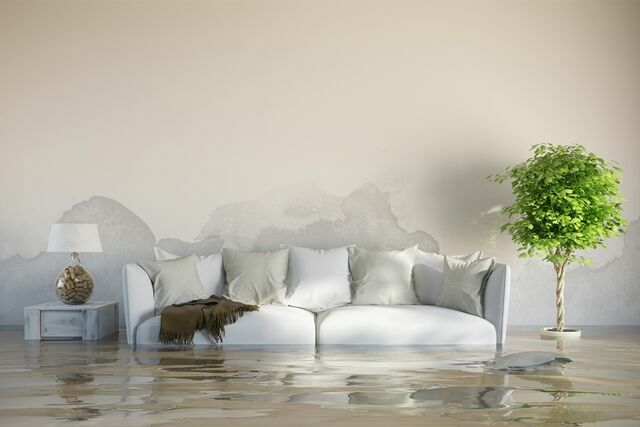 Water damage occurs in many different ways, and can strike even the most prepared and careful business or homeowner. No matter what caused your water damage or how much work needs to be done, Paul Davis Restoration is up to the job. Heavy rainfall can put any building’s foundations to the test. When storms get intense, water becomes powerful and destructive literally a force of nature. Whether it’s a flash flood, hurricane, tornado, or blizzard, when water hits your property all at once, it’s a serious matter. No one can be prepared for every eventuality, but when something goes wrong, you’ll have our help. Basements are magnets for runoff water, whether from rain, roof drainage, a malfunctioning sump pump, or some other source. It only takes one crack in the foundation for water to flow in. Paul Davis professionals are highly trained to get water out of your basement, clean and preserve your possessions, and dry everything quickly to minimize damage. We don’t quit until we verify that the job is done. Not only can a sewer backup lead to flooding, the result is sometimes dangerous. Gray- or black-water contamination can contain pathogens that lead to infection or serious illness. Flooding from sewer blockages should be considered an emergency and be dealt with immediately. Certified Paul Davis technicians will inspect your home for contamination and eliminate it, as well as dealing with the standard water damage that has occurred. Our equipment and specialized training will ensure that the problem is solved with maximum safety and speed. When your faucet, tub, water heater, or other appliance leaks, the results can vary from annoying to devastating. Water that builds up on a floor can make its way inside, collecting in hard-to-reach places. You then run the very real risks of wood damage and mold contamination. If your water damage is the result of a toilet or dishwasher overflow, you can add pathogen contamination to the list of perils. Have a professional inspect the situation to avoid large costs later on. If your property caught on fire and firefighters were called in, or you dealt with the fire yourself with water, you may be dealing with the one-two punch of both fire damage and water damage. Paul Davis has the expertise to fully restore your home, addressing both types of damage at once.